Food is one of the most basic requirements of every human being and living beings in general. People make a lot of different preparations in order to succeed in preparing tasty food. However, cooking is an elaborate process which involves several steps and procedures that individuals need to follow. There are various kitchen equipments that help to ease the process and make the cooking experience convenient. 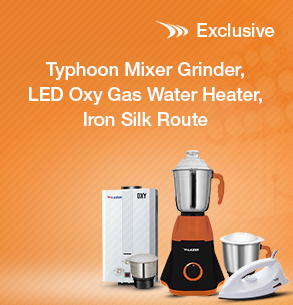 One such kitchen equipment which has become a common household name in the recent past is the mixer grinder. This is a compact machine that works on energy to grind, blend and mix food ingredients. Here is a recipe that requires the use of a mixer grinder. You can use this chutney as a condiment with sandwich, fries and other snack items. This is a healthy replacement for ketchup and other sauce that use preservatives. When you decide to buy mixer grinder, choose the best mixer grinder that provides quality service like Super Star Mixer Grinder.